The Chattanooga Zoo announces the grand opening of its interactive, naturalistic Nature Play playground. 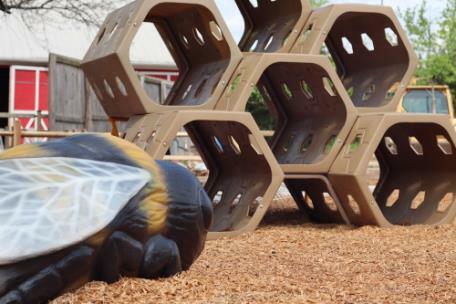 The Nature Play will include a honeycomb jungle gym, giant insects to climb, multiple musical components, a gazebo hut, a dig pit, a crawl through tunnel, boulders, and more. The Zoo’s new Nature Play will encourage outdoor physical activity, provide an educational environment for play, and will fulfill the zoo’s missions by creating ways to connect children with nature and wildlife. 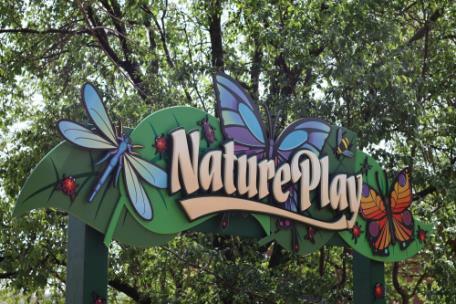 The official Nature Play grand opening ceremony will take place on April 22 at 10 a.m. at the Chattanooga Zoo. The ceremony is open to the public. For more information on details and to RSVP, please contact Hannah Hammon, director of Advancement, at hhammon@chattzoo.org.